Valentine’s Day, or as Heinz calls it, Valen-HEINZ Day is just around the corner, and to celebrate, the ketchup creator has introduced a new product. KETCHUP CAVIAR. I know, you’re picturing fish eggs covered in tomato sauce, right? Me too. And ketchup on chicken eggs is a great debate. Can you imagine? 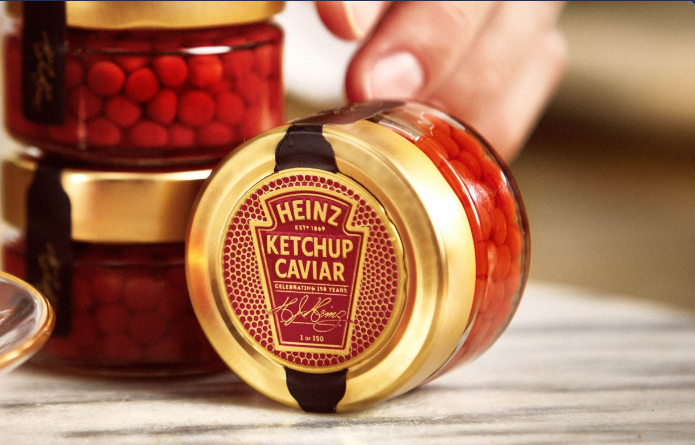 Basically, Heinz made little round ketchup balls to LOOK like caviar. They’ve even gone full fancy on the packaging. Unfortunately, you can’t buy the stuff. However, you can WIN it.